Early February is probably a distant memory for many of us, but we did actually have some lovely sunny weather. And I was lucky enough to be at the top of St.Paul’s Cathedral on one of those glorious days. Heart Valve Voice has some wonderfully inspiring patient ambassadors who have received life-changing treatment for heart valve disease. They volunteer with the charity and recently, in a bid to raise awareness of the symptoms, they have been demonstrating their new-found ability to climb tall things after surgery! 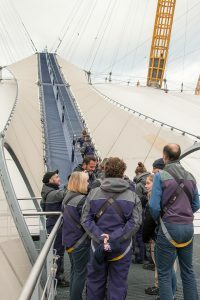 Before Christmas I joined them for a breath-taking climb over the top of the O2, and on 1st February this year we tackled the 528 steps to the top of the dome at St.Pauls. And it was a perfect day for it! Photography is not normally allowed inside the cathedral but we had special permission as we were part of a charity event. So I took the opportunity to point the camera upwards and snap the inside of the dome! The views from the top of dome are breath-taking! You get stunning panoramas of the London skyline, from Crystal Palace to Canary Wharf to the Wembley Arch. 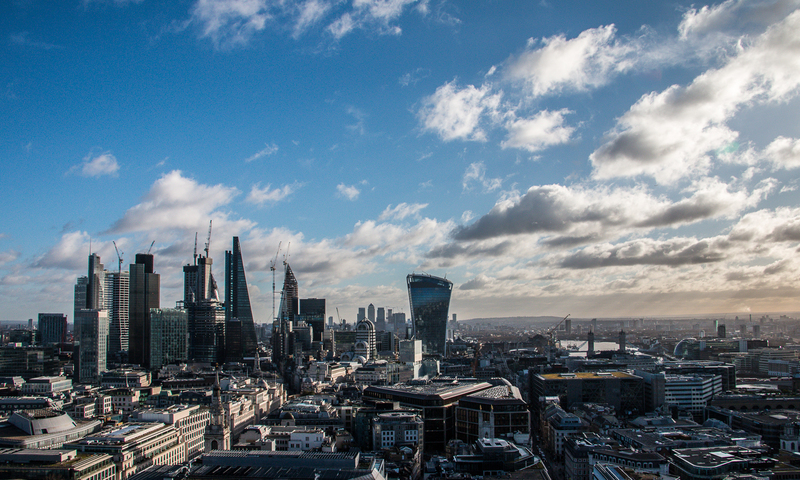 Here, and in the image at the top, you can see the nearby Square Mile with the Docklands in the distance. I have to admit, it was a massive “I love my job” moment! Heart patients and surgeons getting ready to climb over the O2, back in December. If you would like to receive photography tips and details of special offers you can sign up to my newsletter at the bottom of this page. My emails are occasional and won’t clog up your inbox – I hate spam as much as you do and I promise never to share your details with anyone else.